Who is the Funny Accountant? 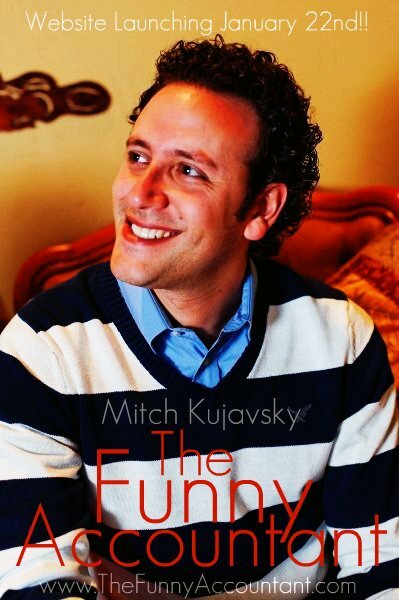 Mitch Kujavsky has been an accountant in Montreal since 2001. Mitch spent the next 8 years fine-tuning his personal and corporate tax skills and diversifying his knowledge into the related fields of bookkeeping and business consulting. This all eventually paved the way to Mitch starting his own business and in 2009, MK & Associates was born. MK & Associates provides clients with a wide range of services using a one-on-one, tailored individual approach. Mitch prides himself on his superb customer service skills and providing all his clients with a truly personalized touch. He’s also got a great personality and will make you laugh. Disclaimer – The above business and personal summary was clearly not written by Mitch but by an independent third party who strongly agrees with Mitch’s high opinion of himself. This independent third party was in no way compensated by The Funny Accountant for their glowing appraisal. Check out The Funny Accountant Facebook Page!